When I think Belgium, there are many things that come to mind. The country gave forth to the world Tintin and Asterix, not to forget the Smurfs, then we have the fries and waffles, and of course we have the beer. Not the generic stuff that one chugs down at the local after a hard day’s work but rather the kind of ferment that elevates this drink form to the highest gastronomic levels. Good Belgian beer is like wine and within its borders it is treated as such too. It comes in various styles each with special characteristics, it shows all the sensory nuances from aromas to taste and linger, it has special glassware for each style, it can be paired with food, and best of all, just like wine, it ages to evolve and mature into a finer product. Not many beers can hold a candle to this micro-industry that is Belgian beers. 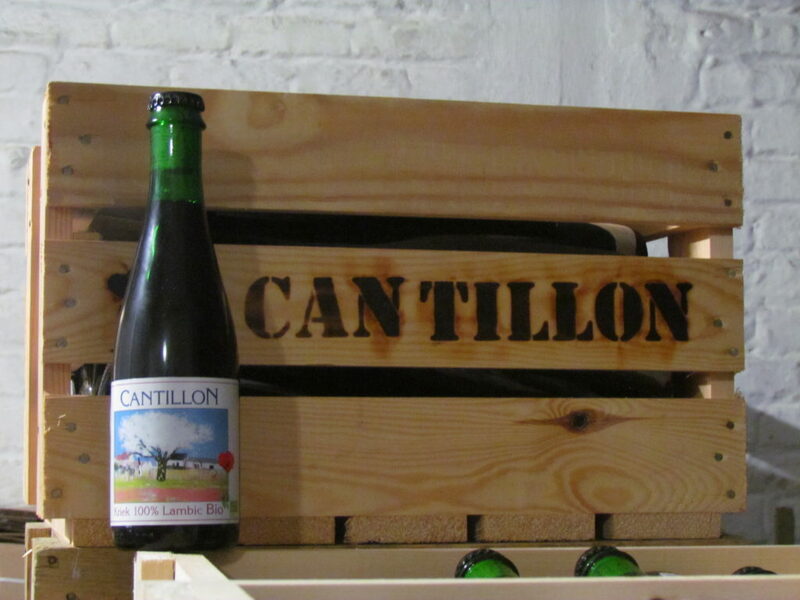 Among the many breweries, Brasserie Cantillon is an exceptionally special one. Founded in 1900 and located in Brussels, it is one of the few surviving ones to make beers in a time-forgotten method called the lambic. It is one of just 9 such official lambic breweries in the world. I recently visited Cantillon and was given a tour by the 4th generation brewer Jean van Roy. Prior to my visit I would’ve confidently admitted to knowing more than a fair bit about the subject, but two hours at this brewery turned everything I thought I knew about beer on its head. When Van Roy says, ‘Before you taste lambic, cast aside all conceptions of traditional beer’, he doesn’t mean it lightly. The lambic style of beer originated in the Pajottenland region of Belgium (southwest of Brussels). It is one of the oldest styles and in many ways also the strangest. Conventional modern day breweries follow a whole bevy of rules to ensure that no unwanted bacteria or microorganisms invade this sacred space. Nothing is left to chance. In complete contrast to this clinical obsession are lambic brewers who place much of their faith in nature. This particular style of beer is made by spontaneous fermentation which means that wild yeast and microorganisms are invited into the brewing chamber and allowed to go to town on the ‘wort’, fermenting the sugar into alcohol along the way. But if it were really that simple to convert grain into beer we’d all be setting up shop in our basements, leaving the work to nature and cashing in on the prize. The reason lambic beers have been brewed in this otherwise unremarkable corner of Brussels for over five hundred years is that the naturally-occurring, local, airborne yeast is specific to only this particular part of the world between October and April. Many have tried to replicate this style of brewing around the world but few have come close. In keeping with the old adage, ‘If it ain’t broken, don’t fix it’, the trick here is to change this as little as possible so as not to upset the delicate balance of the micro-flora in the area. This explains why the Cantillon brewery looks almost exactly like it has for the last century. From the outside it is a fairly non-descript warehouse, the lettering painted on the wall being the only identifier. Inside however Cantillon is full of character, one belonging to the early 1900s but character nonetheless. It seemed to me more like a museum than a working microbrewery – the old copper tanks, dusty barrels, and creaking staircases still in place. The most important room of the brewery is the one at the highest level. In an attic-like room with slanting rafters is a large, shallow square copper vat. This is where the ‘magic’ happens. On brewing days the vat is filled with the warm wort and the shutters in the room are opened, letting in the cold night’s air along with its resourceful guests – the wild ferments. The fermenting liquid is then pumped into oak and chestnut barrels and left to rest for three years. The final result is a distinctly sour beer, quite flat (with only a mild natural carbonation), a cloudy appearance, and a thick mouth feel. Vastly different from any other beer you may have tried and though the tasting notes above don’t scream ‘yummy’ there’s an indescribable charm to Cantillon beers. Such patronage do they enjoy that there’s a feeding frenzy when their beers are released in the market. Building on the lambic style is ‘Gueuze’ pronounced ‘gur-z’, which is a blend of young (1 year old) and old (2 and 3 years old) lambic beers. The older brew adds a lovely complexity to the blend while the younger one is softer and brings freshness. Once the blend is bottled it undergoes a second fermentation due to the sugars still present in the youngest beer in the mix, which hasn’t yet completed fermentation. This process releases bubbles in the bottle and thus creates a sparkling beer of sorts. Because of this, gueuze is often called ‘Brussels’ Champagne’. A really good gueuze is allowed to re-ferment for a year before the brewery releases it. The result is a sour beer along the lines of a dry cider. The best part – these beers can be kept for 10 to 20 years before being consumed, allowing time to enhance certain flavours even as it mellows some others. If the lambic and the gueuze are not to your taste you can always try the kriek (pronounced ‘creak’) beer which brewed with sour cherries. The sight of this bright pink brew might evoke notions of sickly sweet drinks, but don’t be thrown off by it. Traditional kriek is fruity and yet dry and sour on the palate just like the gueuze. After all this we’ve still barely scratched the surface of what van Roy concocts at his historic brewery – honouring tradition while experimenting with grapes, apricots and other grains to create quirky and unique brews. 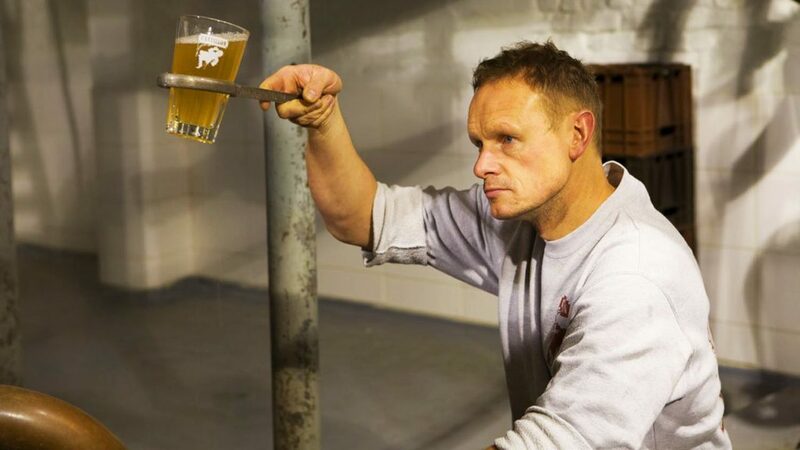 To truly understand the appeal of Cantillon you need a ticket to Brussels and a date with the man who knows it best. This article first appeared in The Sunday Guardian newspaper. This picture of Jean Van Roy is mine. I just ask to put my name or my project’s name under the picture. Cheers! Will do immediately, Dani. Thank you for letting me use it. I had found it on multiple sites without credit and so believed it came from the company.